<p style=">Peapod is an online service that allows customers in certain geographic locations to order groceries online for home delivery. Its parent company Royal Ahold is based in Denmark but owns the US based Stop & Shop Supermarket chain, which is what Peapod's inventory is based on. 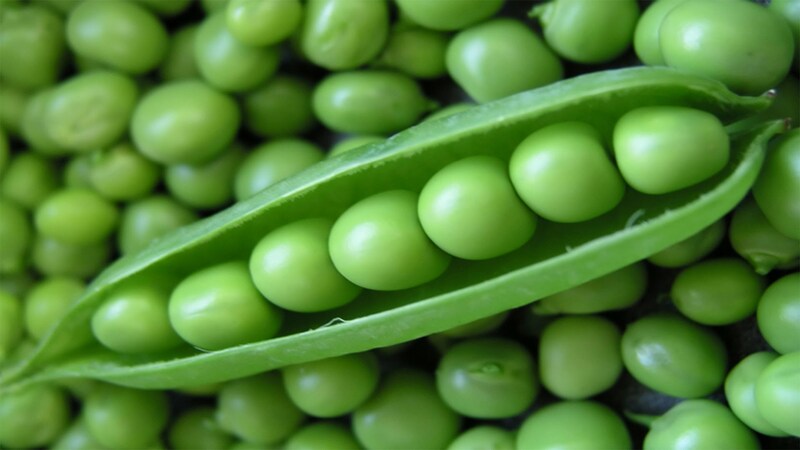 Peapod was a pioneer in online grocery delivery, launching the website way back in 1996. Founders Andrew and Thomas Parkinson had been running an offline grocery delivery business in several states since 1989, but saw huge potential in expanding their customer base on the internet. Rather than stocking their own products like an online store they fostered partnerships with local supermarkets and associated warehouses. Only a few months after opening the site they went public on the stock market and rapidly increased their coverage. This included Chicago, Columbus, Houston, San Francisco, Boston & Watertown, Long Island, Norwalk Connecticut, Washington, and others. In June 2000, Royal Ahold bought a controlling stake in the company before buying it outright and making their own Stop & Shop chain and warehouses the sole supplier. Customers only have to visit their website at peapod.com in order to start their experience. Visitors can find all the information they're looking for in regards to fees that the service charges as well as areas in which the service currently operates. You can also make savings on the site be redeeming Peapod coupons, a list of which we keep up to date here at Coupofy. It's not mandatory to use the site from a desktop computer. They have a mobile app available that allows consumers to shop from the convenience of their phone or tablet. It's available on both iOs systems and Android devices. Peapod provides a comprehensive range of groceries and supermarket items, though there is slightly less choice than if you went to the store yourself. This is to ensure full availability. All of the popular day to day items and brands are there, such as fruits & vegetables, meat and seafood, ready meals, deli items, bread & dairy, health & beauty products, and other basic amenities. If you have a Peapod coupon code for discounts, this can be applied to items in any of the above categories unless explicitly stated. All items that need to be chilled or frozen will be placed in to special containers. Your order is packed at the last possible minute to ensure freshness upon delivery. The Peadpod service is available at Peapod.com and as an app on Android and iPhone. They currently serve Chicago and the surrounding areas, Milwaukee and South Eastern Wisconsin, Indianapolis in Minnesota, Connecticut, Massachusetts, Rhodes Island, Sothern New Hampshire, New York & New Jersey, Maryland, Virginia, Washington, and Pennsylvania. Peapod support Visa, Mastercard, Discover, and American Express credit cards, as well as debit cards. They also accept Peapod gift cards and Direct Check (PDC) through your bank account. If you have a Peapod discount offer, make sure that you enter that before you make your payment. Gift cards can also be purchased on the site and redeemed to pay for orders. Since the service operates online, these are e-giftcards that are redeemable. If you are redeeming Peapod coupons all you have to do is paste the code in to the promotional box, which you will see just before payment. If the code is valid you will see the savings deducted from the order total. Deliveries can be arranged whenever it is convenient. This can be as early as the next day or 2 weeks from purchase. You can also setup a regular order, for example one that is delivered every week. All you have to do is enter your zip code and the current available delivery dates will be displayed. The service/delivery fee varies from location to location. This too can be found by entering your zip code on the site. Pricing is comparable to the local supermarkets in your area, with some products a little higher and others a little lower. Deliveries are made in their recognizable green Peapod vans. The driver will be happy to help you get the bags in to the house. 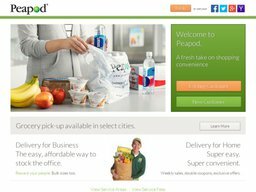 Occasionally Peapod coupons can be used to get free delivery. The company allows returns of any unused non-perishable items that you no longer want within 30 days of delivery. Returns can be arranged by calling customer service or using the email system. @IamNurseTrish Can you send us a DM with either your email address or phone number so we can locate your account?